Social media – are you listening to your customer? The team from SA’s new compliance website, Food Focus, offer their advice for food-bev companies to optimise consumer communication in today’s connected, social media world. If you ask most companies to list their top five problems, communication usually features. It’s not surprising then that all the ISO management system standards address the need for effective arrangements for communication. This includes methods, responsibilities and records for both internal and external communication. The need to communicate with your customers seems like an unnecessary statement of the obvious and we’re sure we will find many robust systems in place including national sales managers, call centres for complaints and regular customer call cycles. Your technical people interact regularly with the customer on quality or food safety complaints and specifications. Your new product development team chat daily to customers about new ideas, product launches and the like. Well done! Keep it up! But what about the neglected consumer? We often gloss over the requirements for consumers, saying we have great labelling and perhaps a website offering advice. But how do you talk to the consumer and more importantly how do you respond when they talk to you on your social media platforms? And are you listening? 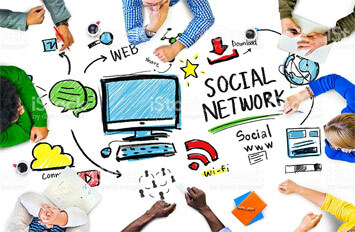 What are your social media communication arrangements? Are you checking what your customers are saying (to you and to the world at large)? Bigger companies may hire marketing companies to assist with this but what can a small or medium size company do? Here are some tips. Monitor: Make sure you monitor social media channels daily. Set up responsibilities for doing this and a schedule, because an issue can go from an isolated post to a trending topic very quickly. Act fast: Make sure there are defined responsibilities for responding to issues. In an online world, taking too long to respond will give the wrong message. If you want the right message to be heard, you had better say it, otherwise someone else will say something and it may be pseudo-science at best! Educate your staff: You want your employees to engage with your brand because they have a positive impact. Believe it or not, “Employees rank higher in public trust than a firm’s PR department, CEO, says the Edelman Trust Barometer. BUT BEWARE – your employees can make a bad situation worse. Develop a social media policy and include rules for them posting and responding to posts from consumers. They can easily add fuel to fire, unless you train them on situations like this. Do the recall drills: Include social media channels in your mock recall drills. Consider a scenario that involves social media and practice how you will respond. Inform top management: You should be analyzing your social media channels and providing this feedback to top management. It can tell you a lot – maybe even inconvenient truths. Ignore it at your peril. You may love or hate it but social media as a communication method is here to stay. Make sure you do it right!